You are here:Home / blog / Archive by category "tinteam"
Today I present a new and ambitious project. 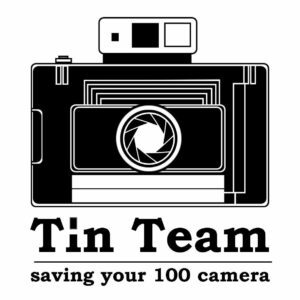 For some time I’ve been working with a team of professionals to realize an idea: SAVE TYPE 100 CAMERAS. As you know Fuji has put out all the films of this type and Polaroid Originals CEO with an open letter has said that no recovery of this format is planned in the near or near future. So this plan of work has been born that has been carefully tested in the last few weeks and I want to share the results with you … What is it? WITHOUT any modification to your Type 100 cameras you will be able to produce gorgeous Ambrotype or Tintype, the cameras with a tripod hole are preferred, but it is not absolutely essential. The resulting images have the same useful surface as the 100 films. In the video me and Alan we try to explain the project, soon you’ll can see also the first tests results.